Whether you’re in Midlothian or Richmond, Virginia, don’t miss out on the opportunity to improve your home’s appearance by hiring our experts to build powder coated railings and posts for your porches. You can choose a more sophisticated look with our aluminum posts and rails, which can be powder coated in virtually any color you can imagine. Not only are these railings professionally designed and handcrafted for each job to meet your specific needs, they also create lasting beauty with little maintenance. We also offer porch columns in either colonial turned style or square. 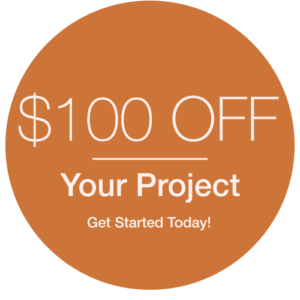 Contact us to get started on your project today! What areas do you serve around Richmond VA? We serve Midlothian, Glen Allen, Chesterfield, Bon Air and surrounding areas. What materials do you use to build your railings? We mostly use aluminum with any color of powder coat. Can the railings and posts be customized? Yes, our railings and posts can be customized to fit the specific style of your home. Do Blue Ridge Exteriors’ railings require maintenance? Typically, no. Our railings not only require little maintenance, they also remain beautiful far down the road.